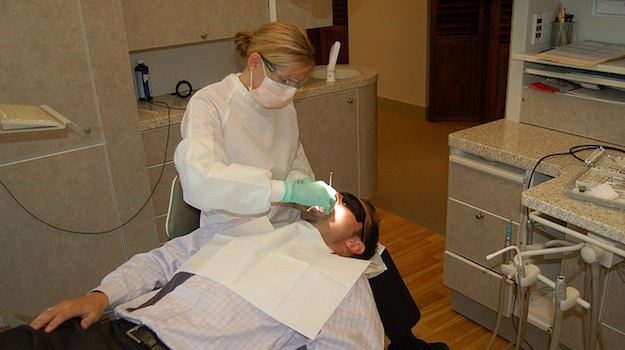 Cleaning up your WordPress Dashboard needn’t be like pulling teeth. With most pieces of software, if you don’t like a particular feature, you’re stuck with it. You weigh up the overall pros and cons, and decide if the sacrifices are worth the gains. That is not the case with WordPress. If you don’t like something, you can change it. If you think something is missing, you can add it. For every “things we’d like to see WordPress do” post, there is a “things we can make WordPress do” post. And you don’t even need to be a programmer to make these changes or additions. Often, someone else has already done the legwork and released the desired functionality as a plugin. Or perhaps it has been released as a code snippet that you can easily copy and paste into your theme’s functions.php file. Today we are featuring one such snippet that can make navigating your WordPress Dashboard a lot easier. 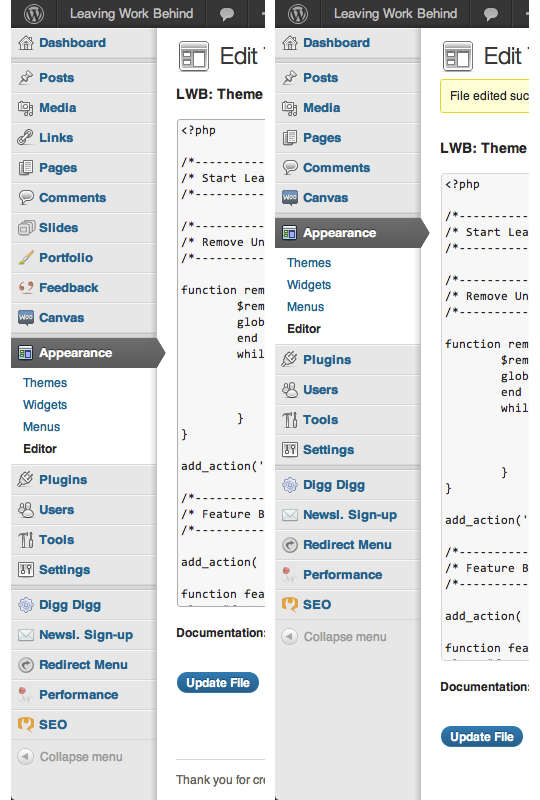 The WordPress admin sidebar is packed with options. Too many, one might be inclined to say. After all, when was the last time you used the Links feature? That’s this button, in case you had forgotten it existed. What if you don’t have comments on your site, or don’t even use WordPress as a blog? What use are the Posts and Comments sections to you? All of these options are cluttering up your sidebar, and if you are working with clients, are points of potential confusion. Download the code snippet here. In order to remove a menu item, just add it to the $remove_menu_items array in the following format: __('menu-item-name'). That’s it! Just a quick and easy way of making your WordPress Dashboard a little more navigable. There’s a bug in the code snippet shared here. The original page is a dead-end now, six years later, too. Because you call end( $menu ) and then while( prev( $menu ) ), the last item on the menu will never be checked against the list of items to remove. Thank you for the info Corey. It’s not unexpected taking into account that this is a really old article, but I’ll have someone look at it and correct it. I read your article on removing Items from the WordPress side bar. Very good. I actually need to go in the opposite direction and add items back to the side bar. How would I reset it back to the default? I have installed the flatsome theme and it created a menu in the admin panel dashboard. How would I know what page would I remove to hide it? when I hover over the menu it has a URL of admin.php?page=flatsome-panel? Hi Tim, Great posts here, thanks. Listen, in the sub menu items under the “Add +” at the top of my Dashboard (I was successful at removing them from the sidebar!) the unwanted links are there. Do I follow the same protocol in a different file somewhere? I admit freely I am not a programmer, but I can follow good directions like yours well. Please help. hi hi how you guys doing, want to make love!!!! How can i do this only for non-Admins ??? I only want to get rid of a sub-menu item, how would I do this? my admin panel clean and beautiful! How I can achieve the above but for specific users? For instance instead of making global changes, I want the admins to continue to see Post, Media, etc. Anyway to remove the ‘Cherry Options’ menu item that is added by the ‘Cherry Framework’ ? Also how would I find out the slug for this menu item? Great post thanks looked for lots of plugins that do this but none work as well. It’s always better to hard code this type of thing is possible anyway. None of these seem to do the trick. Got the same problem myself, and tried what Edward has done. No results. 🙁 appreciate if you could look at it again, Tom. Do it and be happy! But how should I write it, if I want to remove an item with two words? I would for example like to remove the “Navigation Page”, but how should I write that? I’m not sure — test it and see what happens! Thanks for the great info on hiding some of the WooThemes menu items! Is there a way to hide “Canvas” from the menu? I can’t seem to figure that one out. Surprised you’d want to do that given that it’s quite an important menu option! But I’m pretty sure you just need to follow the above steps and add “Canvas” to the array. You can also use the (much simpler) remove_menu_page() function. You need to pass the menu slug as the parameter. That is a good suggestion — the only thing I would say is that the other way is simpler in that you don’t need to know what the menu slug is. White label CMS allows you to do this very quickly and easily and allows you to choose a set of menus for those with and without blogs so you can hide comments, links and posts in one click. Keep up the great work at MangeWP. Thanks for the suggestion Troy – White Label CMS is a great plugin. However, if you’re just looking to remove a few items (like I was), using a lightweight code snippet would be a more efficient option. I started using this before finding this article but it’s a great article to let people know they can hide WordPress menus! I hate how I have a bunch of plugins that create a crazy number of menus in all sorts of places making the wordpress admin area look very messy to myself and to my clients. If only there was a set standard for where plugin developers should put their plugin menus!